Sahara Hot Box | Electric Drum Heaters by Benko Products, Inc.
'Sahara Hot Box' Drum & Tote Heaters help to heat and speed the flow of thick or viscous materials. 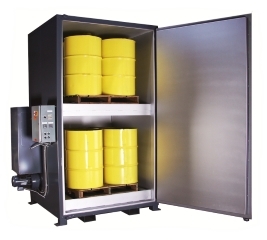 Our Electric Drum Heaters provide the perfect way to safely heat and/or melt a wide variety of greases, oils, cosmetics, plastics, adhesives and more. 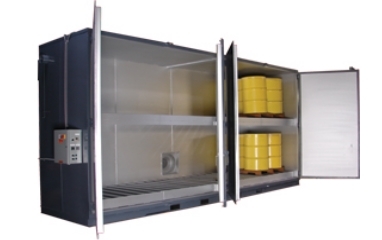 If it resides in a 55 gallon drum or a tote (generally 275 gallons) and needs to be heated, we have the solution. We also have Steam Powered models. 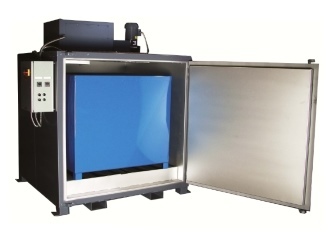 'Sahara Hot Box' Drum Heaters help to heat and speed the flow of thick or viscous materials. 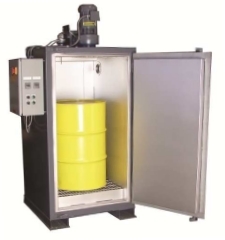 Our Electric Drum Heaters provide the perfect way to safely heat and/or melt a wide variety of greases, oils, cosmetics, plastics, adhesives and more. 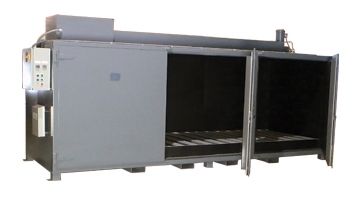 If it resides in a 55 gallon drum or a tote (generally 275 gallons) and needs to be heated, we have the solution. We also have Steam Powered models. 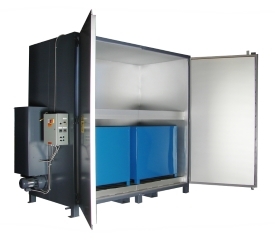 Our Steam Drum Heaters come in a wide variety of sizes and options. From portable single drum heaters, to oven style drum heaters with the ability to heat from 1 single drum, all the way up to 32 (55 gallon) drums. 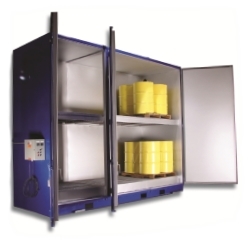 It should also be noted that our stationary drum ovens can also be used to heat the totes mentioned above. Totes are fast becoming a replacement for 55 gallon drums. Whereas 4 (55 gallon) drums can fit on a standard pallet or skid, that same pallet can also hold 1 tote. The difference? 55 gallons! 4 (55 gallon) drums can hold up to 220 gallons. 1 standard tote can hold as much as 275 gallons. One can easily see how the additional 55 gallons can quickly add up. 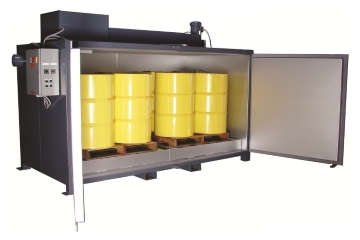 Nevertheless, whether you need to heat the contents of a 55 gallon drum or the contents of a 275 gallon tote, Benko Products has the drum heater (or tote heater) for you. Pioneers in energy saving Drum Warming Ovens and Heaters since 1983, we understand drum heating. 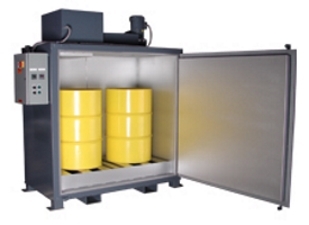 Our experience in this field allows our experts to properly assist you in choosing the correct drum heater. Feel free to browse our items in this category below or use our Online Quote Request form to get a custom response with pricing. Feel free to contact us directly if you have any technical questions.